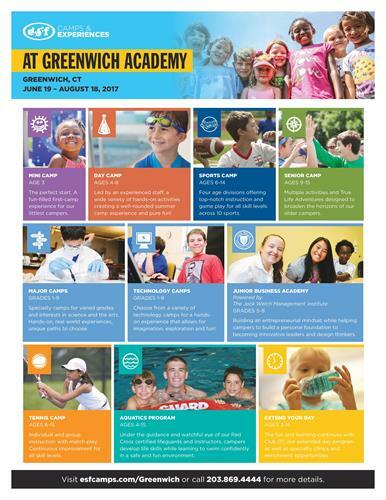 ESF was founded in 1982 and brought it's exceptional programming to Greenwich Academy in the summer of 1993. Celebrating 35 years in 2017, we can't wait to see what summer 2017 brings! The ESF Way is about dreaming big, challenging assumptions, thinking creatively, and never compromising safety or quality. Our commitment to excellence is in our DNA and it’s what makes us the leader in the people development business. Our mission is to provide the finest camp experience for people of all ages - an experience that will be remembered for a lifetime. We are committed to quality and excellence in everything we do. We provide carefully designed programs and activities, a dedicated, experienced and well-trained staff, along with a caring, safe environment with premier facilities. Through education, sports, and fun, we offer opportunities for campers and team members to believe in themselves and to achieve their full potential. 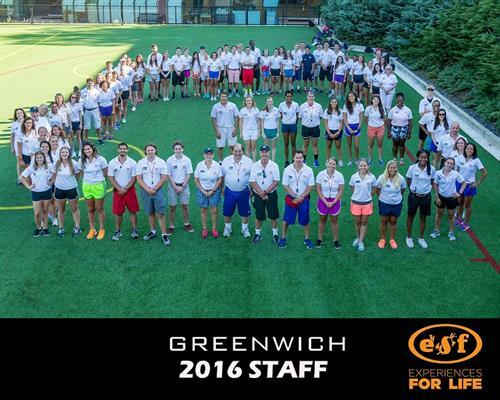 ESF Camps (Education, Sports and Fun) is an award-winning, family-owned and operated camp since 1982. ESF features exciting programs offering over 60 activities, a wide variety of sports and new adventures for boys and girls ages 3 to 15. Join us as we celebrate our 35th anniversary! 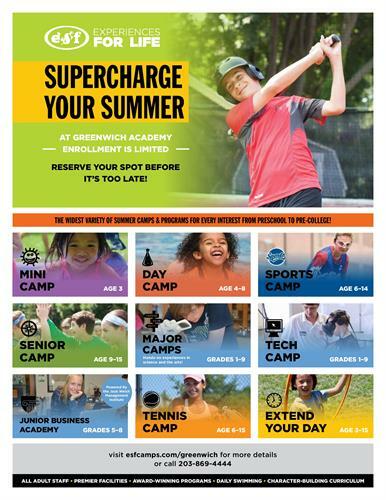 Choose from: Mini Camp (age 3); Day Camp (ages 4-8); Sports Camp (ages 6-14); Senior Camp (ages 9-15); Major Camps (grades 1-9); Tech Camps (grades 1-9); Junior Business Academy (grades 5-8); Tennis Camp (ages 6-15). WE’RE 35 YEARS YOUNG & JUST GETTING STARTED! Mini Camp, age 3 A fun-filled, first camp experience! Day Camp, ages 4-8 Way more than a typical day of camp!